I fall in love with writers, and their books. I’m just funny that way, re-reading passages or whole chapters, remembering why the initial pangs of love were there. I knew I was going to fall in love with Farah Jasmine Griffin’s book Who Set You Flowin’: The African-American Migration Narrative when I read the dedication: “For My Grandmother, Willie Lee Carson (1904-1981), who migrated from Eastman, Georgia, to Philadelphia in February 1923; and Her three Philadelphia-born Daughters, Eunice Cogdell (1924-1991), Eartha Mordecai, Wilhemina Griffin.” As a person most interested in African American names, history, and genealogy (and the mothers of mothers who provide all three), I experienced a world in those 33 words, a contained moment of love and honor and respect that felt whole and real. Then I read the epigraphs a few pages later and saw quotes from such richly disparate figures as Toni Morrison, Cornel West and music group Arrested Development—and I knew it was going to be one of those books. And it was. Crossing all kinds of textual terrain in her study of migration as a major theme in African-American culture—Toomer’s Cane, Morrison’s Jazz, the art of Jean Lacy, the poetry of Gwendolyn Brooks, among other significant texts get investigated—Griffin’s work is like a journey in itself, gracefully climbing the hills and wading the valleys of what she calls the “metanarrative” of the black migration experience with supple prose and clear-eyed cultural and literary analysis. Currently a professor of English, Comparative Literature and African American Studies at Columbia University, Farah Griffin has served as the director of Columbia’s Institute for Research in African American Studies. She’s what I think of as a truly interdisciplinary academic, casting her scholarly eye on not just literary subjects but also fields like jazz (she co-edited an issue of Callaloo entitled “Jazz Poetics”) and travel writing. 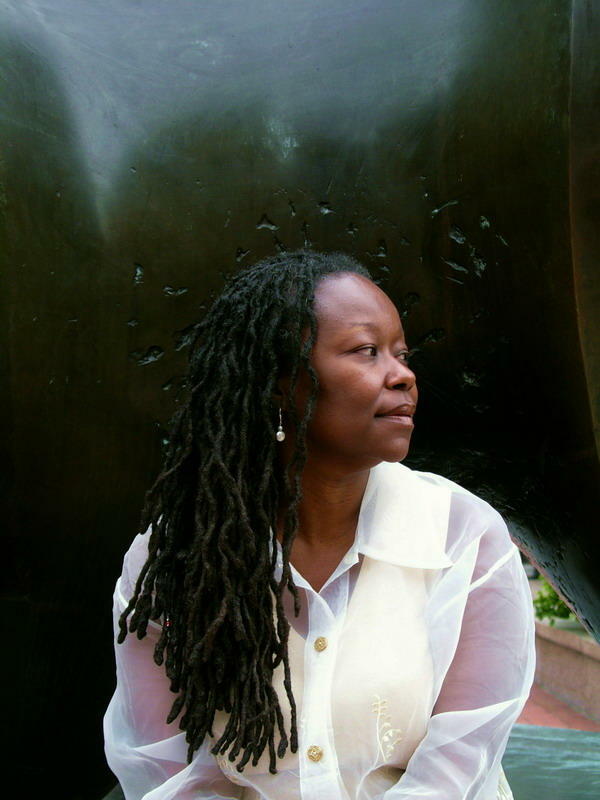 Her writing has also appeared in the New York Times, The Guardian, Harper’s Bazaar and the African American Review. Academic High: Membership in the Jazz Study Group, Columbia University. Robin Kelley, Salim Washington, Robert O’Meally, Brent Hayes Edwards, Diedra Harris Kelley, John Swzed, Fred Moten, and others were my intellectual family, my comrades, my joy. The set my brain dancing. Life High: The day I met the little girls who would become my step-granddaughters: Diata and Mariam Cannon; my participation in Billie and Me at the Barbican, London. You’re on a desert island and can only have 5 CDs/books/ or DVDs shipped in to you. What are they?